DJ Wengweng, the famous electronic musician in China. Acupuncture Records (Electronic music label), INTRO Electronic Music Festival, Lantern Club main founder. Wengweng is committed to electronic music development in China for many years. He is an artist, event organizer, club manager, etc. Multiple identities. From China Pump Factory DJ team, JinShanLing Great Wall party in 2000 year, Velvet Room club, FM club, to the "Acupuncture Records" label, China's first large-scale outdoor electronic music festival INTRO festival and the Lantern Club. Wengweng plays an important role in different historical periods of the development of the electronic music in Beijing. As an artist his unique insights to the electronic music and years of music career made his music has its own voice. More than ten years his footprints are all over the domestic as well as many well-known European clubs and large festivals. 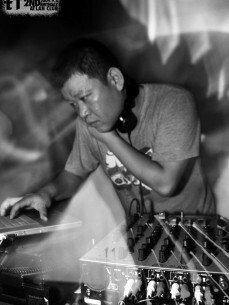 He became one of the important signs of Chinese electronic music culture. Richie Hawtin, Booka Shade, Gui Boratto, Josh Wink, Robag Wruhme, Steve Bug, Adriana Lopez, Nic Fanciulli, Octave One, Paul Kalkbrenner, Chris Liebing, M.A.N.D.Y., Carl Craig, Christian Smith, Vincenzo, Italoboyz, Oxia, Secret Cinema, Marco Baily, Format B, Seph, D’Julz, Agoria, Dop,Takkyu Ishino, Ken Ishii, Deetron, Agaric, Robert Babicz, Sian, Martin Eyerer.